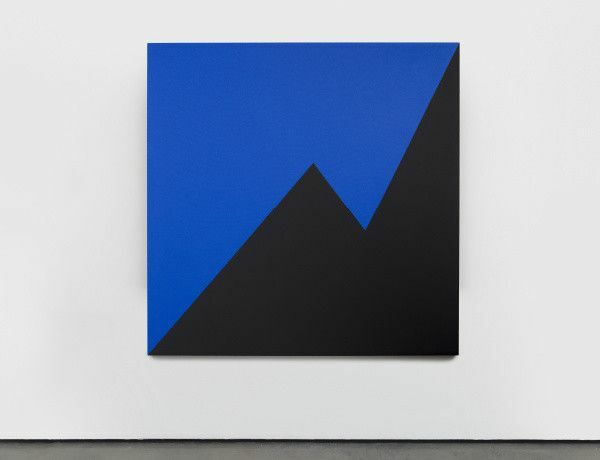 Carmen Herrera’s sixth exhibition with Lisson Gallery, and her second with the gallery in London, features an entirely new body of work created within the last year. Featuring a large Estructura, along with a number of paintings and works on paper, the exhibition displays some of Herrera’s most ambitious work to date. Known for her geometric lyricism and vibrant abstractions, Herrera produces dynamic compositions that convey movement and rhythm through a careful balance of lines, forms and colours. Embracing an approach that is at once meditative and reflective, daring and bold, Herrera’s work evokes a simultaneous sense of instability and order, encompassing symmetry and asymmetry, shadow and light. Rather than tricks to fool the eye, her intent is to sharpen it. Herrera’s dynamic use of colour and form is realised perhaps most effectively in her series of three-dimensional works, known as the Estructuras (Structures). The work presented at Lisson Gallery, titled Pavanne, is Herrera’s largest structure to date, originally conceived in 1967 as a monument in dedication to her younger brother, who was dying of cancer. Based on paintings “really crying out to become sculpture”, Herrera’s Estructuras represent a rare break in Herrera’s insistent planarity and rectangular container of her paintings. Moving from drawing, to painting, to sculpture, the physical manifestation of her forms brings to life the precision of Herrera’s sharp edges. As with many of her early Blanco y Verde paintings, Herrera envisioned her Estructuras in an environmental sense, using the surrounding walls as part of the composition. The irregular shapes, unable to fit perfectly together, create negative space to play with spatial awareness and balance. The first Estructura designed to go outside, the sculpture on view as part of the exhibition further extends the possibilities of the work, adding nature or different spatial dimensions into the mix.